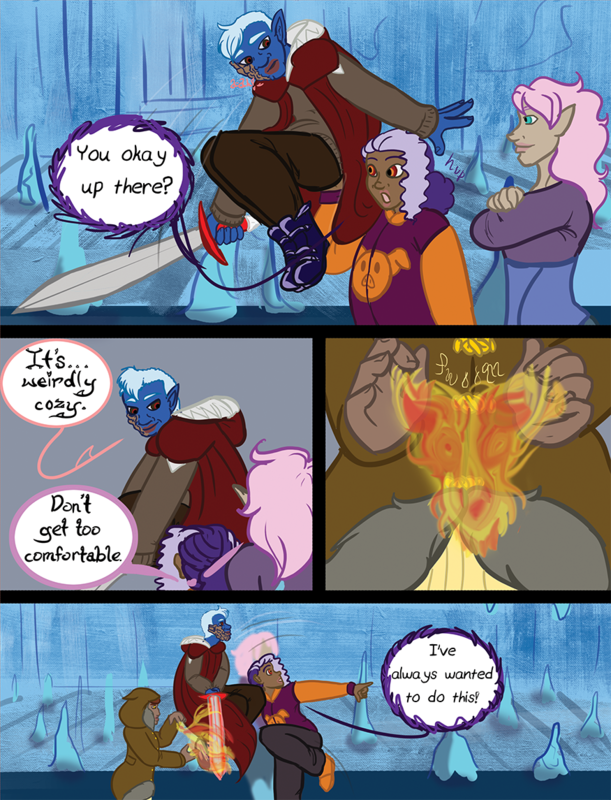 Chapter 09 - Monsters - "Chapter 9 Page 26"
Wynn: You okay up there? Siyav: Don’t get too comfortable. Wynn: I’ve always wanted to do this!